As a property owner, and/or property manager, there are an assortment of things you can do to not only maintain your pavement investment, but also protect it. 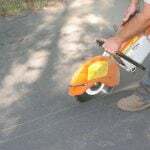 When the asphalt surface is privately owned or residential, it is a lot easier to keep track of, and control how your asphalt is treated. 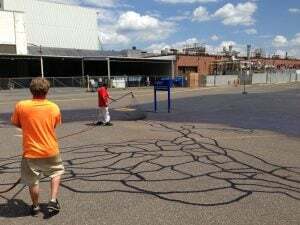 However, when it comes to roadways or public communities like condominium complexes, it is harder to make sure all using this surface are being mindful. However, there are ways to aid in ensuring and enforcing safety for individuals, as well as your pavement. 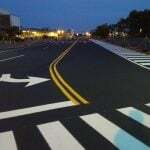 Regular maintenance – This is not only necessary in preserving your pavement investment, but asphalt repairs, like crack filling and pot hole repair, are extremely cost effective and are essential in preservation. Beware of deicers – While deicers are often necessary to prevent potentially damaging falls and accidents, they do eat away at your asphalt. Not only that, their harshness can damage vehicles. Consider milder salt alternatives or other products like sand, gravel, or organic alternatives. Learn more about the potential damages rock salt can cause HERE. Fix damages – Early spring will be the most popular a necessary time to evaluate and repair your asphalt following winter damage. However, it is important to monitor your asphalt surface year-round, and to consider temporarily fixing new damages as they occur to prevent them from getting worse. Post and enforce speed limits and hazard warning signs. 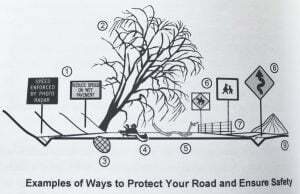 Eliminate dangerous trees and vegetation. Promptly tend to repair and damages. Keep your pavement surface clean and quickly remove road kills. Display signs warning to be aware of children at play, animal crossing, dangerous curves, narrow roadways, steep grades, and other things to look out for. This will help encourage slow and mindful driving. Install obstacles/safety barriers that prevent drivers from going into roadside ditches. Keep a pile of sand and your snow melt alternatives handy when/where snow and ice is expected. Create barriers where vehicles don’t belong. Place mailboxes and garbage collection areas in locations that are both visible and easy to drive up to. It is important to extend subgrade, drainage relief, and surfacing far enough into these areas to counter truck loading and handling vehicles that may get too close to the road’s edge. Consider speed bump additions to help ensure cars are slowing down, especially in high pedestrian traffic areas. 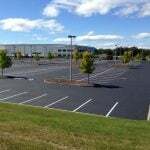 Your parking lot and roadway paving is a big undertaking, and a big investment. Because of this we know that it is important to preserve and protect it to ensure that it is not only lasting as long as it should, but to also ensure the safety of your residents/those traveling on the surface. Regular asphalt maintenance and repair is so important and a necessity in preserving the life of your asphalt. 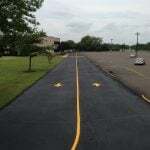 When planning your parking lot paving job, consider some of the additional items listed about to help foster mindful and safe driving in your lot. This will not only help to prevent unnecessary pavement abuse, but also safety. Contact EastCoat Pavement Services for your free paving, repair, and maintenance program consultation.